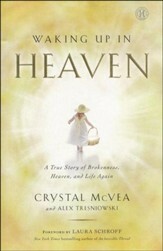 When her husband "died" and spent 90 Minutes in Heaven before returning to life again, Eva's world was forever changed. Always a somewhat protected wife, she wasn't prepared for the darkness that engulfed her as she cared for Don after the accident. 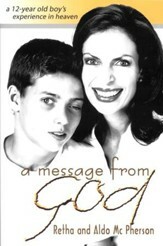 Discover how the long ordeal made her a stronger woman of faith! 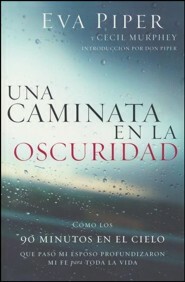 256 pages, softcover from Nelson. 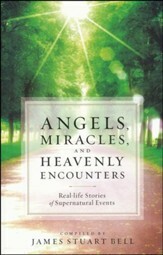 Later she would learn that he had died and actually experienced heaven before being prayed back to lifea true miracle. 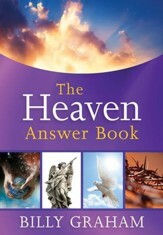 Don Pipers testimony, told in the New York Times bestseller 90 Minutes in Heaven, would one day bring hope to thousands. But all that was in the future. Despite family and friends who kept vigil with her, Eva Piper found herself essentially alone. 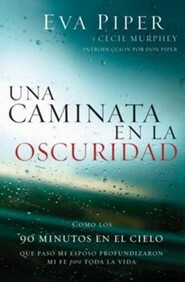 Walking in the dark. And she had always hated the dark. 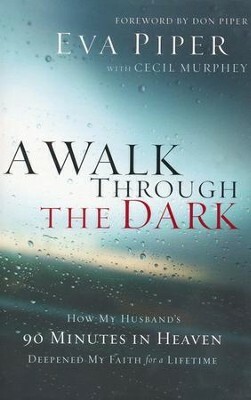 Though it parallels that of her husband, Eva Pipers account is quite different from his. It takes readers not to heavenly places but through a very earthly maze of hospital corridors, insurance forms, tiring commutes from home to workplace and hospital, and lonely hours of waiting and worrying. This is the story of a woman learning, step by darkened step, to go places she never thought she could go and growing into a person she never thought she could be. Packed with hard-earned wisdom about what it means to be a caregiver, to open yourself to the care of others, and to rest in Gods provision, this book provides a dependable source of light to help you walk through the dark. 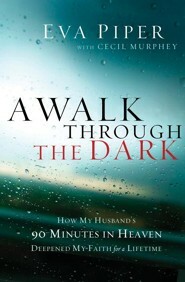 I'm the author/artist and I want to review A Walk Through the Dark: How My Husband's 90 Minutes in Heaven Deepened My Faith for a Lifetime.